Miele Classic C1 Powerline Vacuum Cleaner. Product Code: 10660600. Designed with ease of use in mind, the classic C1 PowerLine includes a number of handy features to make cleaning even easier. 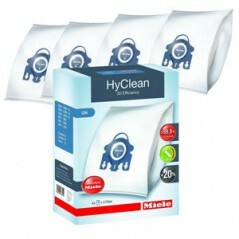 It has good filtration but also for their sealed casing which helps prevent dust escaping so that only clean exhaust air is returned to the room. 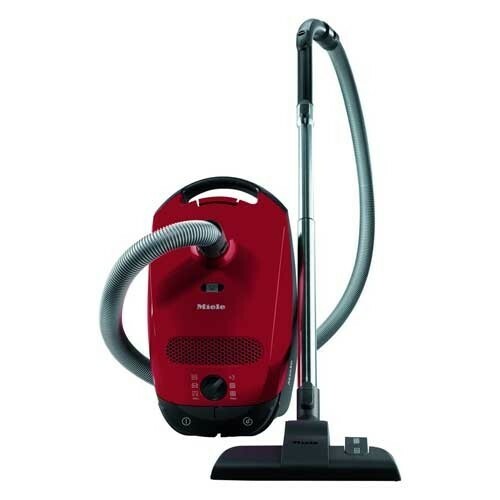 Miele Classic C1 Powerline Vacuum Cleaner. Product Code: 10660600 also known as SBAF3. The classic C1 range has many helpful features and the quality can be seen from the castors with steel axles to the hardwearing hose. Thanks to its inbuilt power motor, the classic C1 PowerLine produces 900W to ensure it delivers a deep clean. This handy vacuum cleaner also features a 6 stage rotary dial, allowing you to pick the cleaning mode best suited to the task in hand, so you can get the best clean every time. To produce only the highest standards of cleaning, this vacuum cleaner has an 11 stage filtration system.